How can three numbers play such an important role in our lives? That's what comedian John Oliver wants to know. 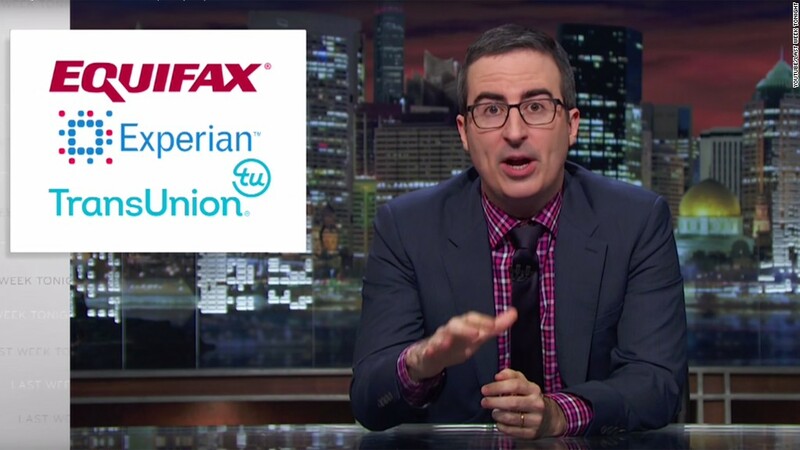 On the latest episode of LastWeekTonight that aired Sunday, Oliver ripped into the three major U.S. credit bureaus: Equifax, TransUnion and Experian, pointing out that the reports they issue can be filled with errors. Credit scores are used by lenders to determine your creditworthiness when applying for things like a mortgage, car loan or credit card. The three-digit number determines whether you get approved for a loan and how much lenders will charge you. Scores are based on a consumer's credit reports, which includes information like loan repayment records and credit history. The problem, Oliver notes, is that the reports can -- and often do -- contain errors. According to a 2013 report from the Federal Trade Commission, 1 in 4 people had an error on their credit report that could affect their score. And those mistakes can seriously mess up people's lives. It's not just banks that use credit reports, landlords and employers also consider them. "Just one error on your credit report and suddenly the world treats you like a mean girl treats the high school debate team," Oliver said. The HBO host said nearly half of employers conduct credit checks during the hiring process, pointing out Craigslist job postings for managers at a Benihana and fireworks tent operators that both required credit checks. On its website, TransUnion said a credit report can help employers that are making hiring decisions or re-evaluating current workers. And mistakes on credit reports can be hard to fix. The show included the plight of a woman who kept getting rejected for loans because the debts of another person were appearing on her credit report. It took her six year to sort out the situation. Oliver added that credit reports might not be the best measure of someone's character since a report from the Consumer Financial Protection Bureau showed that just over half of all debt on credit reports stems from medical bills. "It seems unfair to judge someone for that. No one chooses to be sick." Time Warner is the parent company of HBO which also owns CNNMoney.